A gentle opening hole to break the golfer in although generally playing into the prevailing wind. 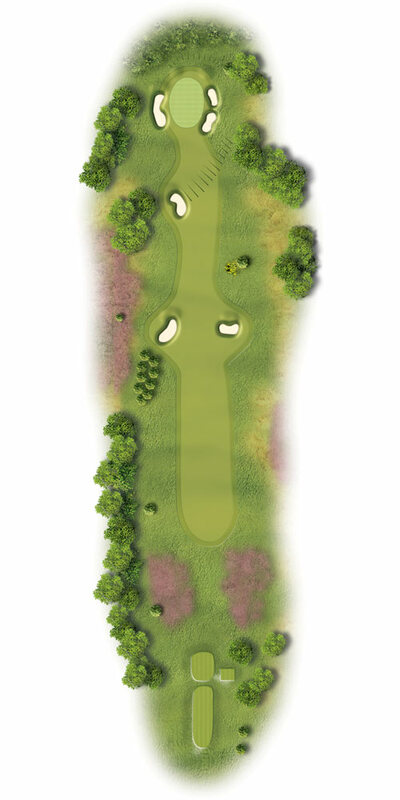 A risk reward drive option; a driver threaded between two fairway bunkers will leave a mid-short iron pitch. A fairway wood or long iron will leave a longer approach but take the fairway bunkers out of play. The second shot plays a little shorter as downhill. If you have to lay up with your second, be aware of a ‘hidden’ fairway bunker 60 yards short of the green. If running your shot onto the green, you must favour the right hand side with the green sloping from right to left.